Attik has been one of the most talented musical presences and his art literally sealed the first half of the previous century. This collection includes 18 recent recordings of his most classical songs. David Nahmias, who has been studying his work for years, arranged and played the piano. Mpampis Tsertos, Nena, Venetsanou, Maria Kanellopoulou, Chrisoula Stefanaki, Thanos Polidoras and Gogo Vagena, interpreted with a unique and modern way Attik’s timeless songs. Themis Andreadis- in a surprising reappearance- sings the satirical song “De sou paei to pahos Dimitraki”. 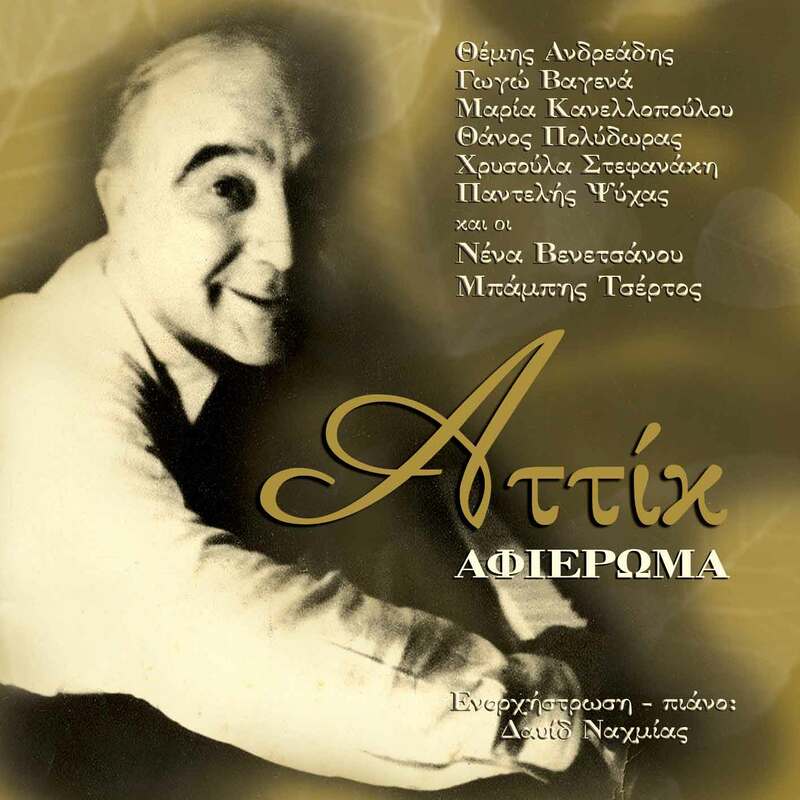 Pantelis Psihas, with his lyrical interpretation in the song “To faliraki”, connects so well the past with the present.